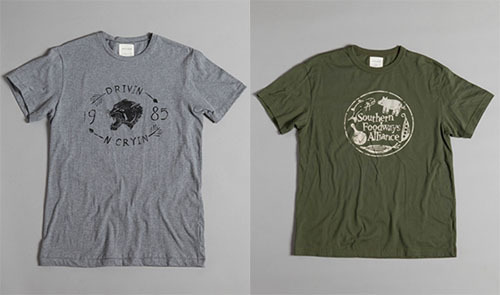 I love a soft and cozy t shirt done right, especially one with a southern touch. I couldn't help but smile when I recently saw Jerry Slater of H. Harper Station wearing one of these Bitter Southerner tees. I have a friend in Alabama whom this would be absolutely perfect for. It's on sale now for $35. Billy Reid always makes a good tee. They have that worn in look and feel with a homage to someone or something southern. See his current collection, here. 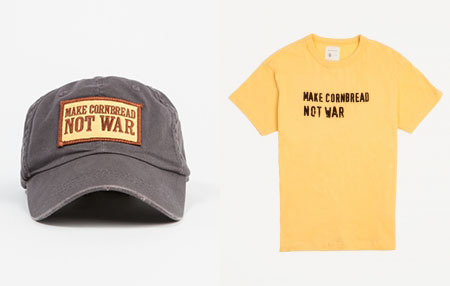 This Make Cornbread Not War tee is no longer available online but I have seen it available in the Billy Reid stores. It's a good dad gift actually as my dad likes any clothing item that starts a conversation. Click here for the Cornbread cap.